The Mont Blanc range is one of great ascents, where important pages in mountaineering history have been written. However, alongside the hard routes climbable by but a few, there is a plethora of more accessible routes to be discovered, combining beautiful climbing and incredible surroundings. 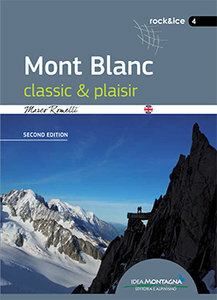 This guidebook allows you a taste of Mont Blanc without worrying too much about sporting performance.